Looking for the best Birding trails around Sierra Vista? 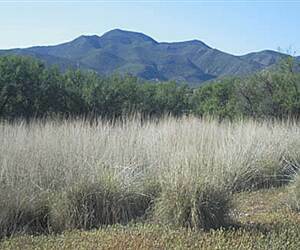 Find the top rated birding trails in Sierra Vista, whether you're looking for an easy short birding trail or a long birding trail, you'll find what you're looking for. Click on a birding trail below to find trail descriptions, trail maps, photos, and reviews. 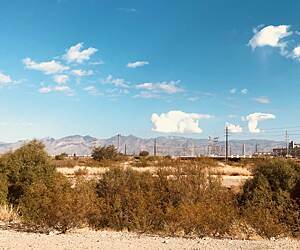 This section of the Tucson loop has beautiful mountain views to the north and east. It cuts right through the desert with lots of large cactus and no cars or other roads around. It is like a bike freeway. 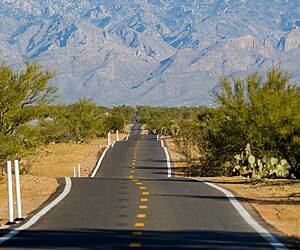 It is part of the entire Tucson loop so you can keep going around Tucson for about 100 miles. I love this part of the Loop bike system on the east side of Tucson. It's desolate in a wonderful way and makes for a great ride. A little bit hilly and it connects up to the Julian Wash Greenway if you're westbound. On the eastbound route, you connect to the Rillito River Path. You can stop for a water/bathroom break at Thomas Jay Park where Julian Wash Greenway starts. There are only a couple of areas where you have to cross the road, but really there is minimal contact with car traffic. Parked on Avenida Coatimundi across from Coatimundi Middke School. Road gate is locked but there is a passenger gate to the right. It appears locked but is just held closed by a wire. Walk on dirt road past water tank on right thru another road gate to sign at start of trail. Go about .5 miles from school to second trail sign that tells you to take right trail. 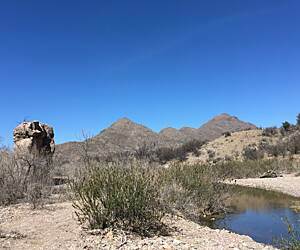 You will cross the Sonoita Creek bed. Trail is a mixture of dirt road, sand, packed earth and gravel. We went about 1.6 miles where we couldn’t find a secure way to cross creek and continue on trail so we headed back to car. Bird-wise it was mid-day so not a lot of activity. We did see a Northern Flicker, Gila Woodpecker, Yellow Rump Warbler, Vermillion Flycatcher and Chipping Sparrow. Trail could be better marked as there were numerous cow paths. Beautiful desert scenery and a very peaceful quiet. Would have been a 5 if more scenery - a great trail! This trail, as noted, is part of what is called "The Loop" that is being developed by Tucson. It will eventually be 131 miles. They even have "The Loop" jerseys, arm warmers and leg warmers for sale! I stuck to the Julian Wash Greenway, but could have easily caught connecting parts of the trail. A woman who rode with me for a bit had already been riding 30 miles on the trails. I started riding at Thomas Jay regional park and went west. It goes about 9 miles west. The first parts are fairly scenic, passing 2 or 3 more parks, but then it gets a bit urban - having to cross several major intersections. However - the trail is very well marked, and the intersections are at traffic lights, so the crossings are safe. I then came back and went about 2.5 miles east. This again, was a bit scenic but not much. The pavement is awesome, it is nice and wide, with lots of friendly cyclists on the trail. Thanks to Tucson for doing this!! !